Ingrid Rowlands’ interests focus on young women’s health, particularly the psychosocial aspects of women’s reproductive health. Ingrid completed her PhD at The School of Psychology, The University of Queensland and examined women’s adjustment to miscarriage using data from more than 14,000 young women participating in the Australian Longitudinal Study on Women’s Health. Following this, she worked as a postdoctoral fellow at QIMR Berghofer Medical Research Institute on a national, Australian study of women with uterine cancer, focusing on women’s quality of life following treatment. In this role, she also led a study exploring young women’s fertility concerns following a diagnosis of gynaecological cancer. Ingrid is currently a Research Fellow within the Centre for Research Excellence in Women's Health in the 21st Century (CREWH21) at The School of Public Health. 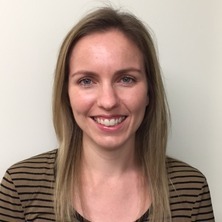 Ingrid’s current work focuses on the psychosocial aspects of women's reproductive health in a new cohort of 17,000 young women (born in 1989-95) recruited as part of the Australian Longitudinal Study on Women’s Health. Her interests in reproductive health span from contraception through to pregnancy and childbirth, with a particular interest in pregnancy loss and infertility. Physical health of young, Australian women: A comparison of two national cohorts surveyed 17 years apart. Rowlands, Ingrid J., Weinstein, Philip, Nagle, Christina M., Spurdle, Amanda B. and Webb, Penelope M. (2011) Season of birth and risk of endometrial cancer. Asian Pacific Journal of Cancer Prevention, 12 5: 1193-1196. Ingrid Rowlands (2008). Coping with miscarriage: Australian women's experiences PhD Thesis, School of Psychology, The University of Queensland.